JUDICIAL REFORMS IN Poland have “seriously violated” European anti-corruption standards, the Council of Europe has said. The Council of Europe said that a new report from its Group of States against Corruption (Greco) was a first ever “ad hoc procedure” triggered by “exceptional circumstances” in Poland. 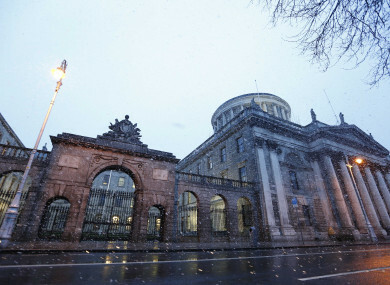 It comes just a few weeks after an Irish High Court judge asked the European courts for a ruling on the effect of recent legislation changes in Poland. Ms Justice Aileen Donnelly described the changes in Polish law as “so immense” that the High Court has been forced to conclude that “the common value of the rule of law” has been “systematically damaged” and “democracy in Poland” has been breached. The concerns about Poland include the compulsory retirement of a significant number of judges (which allowed for a “far-reaching and immediate recomposition” of Poland’s Supreme Court), “persisting with invalid appointments” to the Constitutional Tribunal and the prevention of lawfully nominated judges from taking up their functions. Some concerns have been compounded by additional “sensitive new legislative acts” such as a new Civil Service Act, amending the law on the police, laws on the Public Prosecution Office, a law on the Ombudsman, a law on the National Council of the Media and an anti-terrorism law. These problems are alluded to in the Council of Europe’s report. It described “excessive legislative influence” in appointing members of the country’s national judiciary council. Concerns are also raised about the tenure of Supreme Court judges, which is describes as a de facto “reappointment system” where the Polish President is able to prolong the mandates of some judges while others face early retirement. Greco urges Poland to not apply the new retirement age on sitting judges, and remove possible extensions to the tenure of Supreme Court judges from political influence. The report is also critical of the “discretionary powers” available to the country’s Minister for Justice, “with regard to such issues as case assignment and the method for random case allocations”. These concerns are “compounded”, it said, with the decision to merge the office of the Public Prosecutor’s Office with that of the Justice Minister, thus increasing the powers of that office. Greco concludes that the basic principles of the judicial system in Poland have been affected “in such a critical way and to such an extent” that previous assessments of the Polish judiciary are “no longer valid in crucial parts”. It said it will reassess the country under a theme of “corruption prevention in respect of judges”, scheduled for June of this year. Email “After criticism of Poland in Irish court, Europe goes on attack over country's 'serious violations'”. Feedback on “After criticism of Poland in Irish court, Europe goes on attack over country's 'serious violations'”.